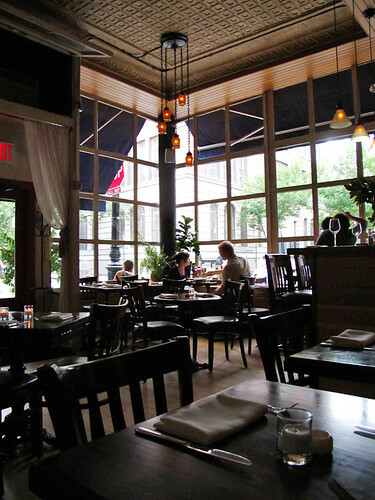 When Chef Joey Campanaro's newest restaurant venture, Kenmare, got mixed reviews during its early 2010 opening, I was a little apprehensive going into his original baby, The Little Owl. I've heard that he's been spending his nights sharpening his knives at Kenmare with very little time for anything else. Who's left to cook at The Little Owl then? I wondered. 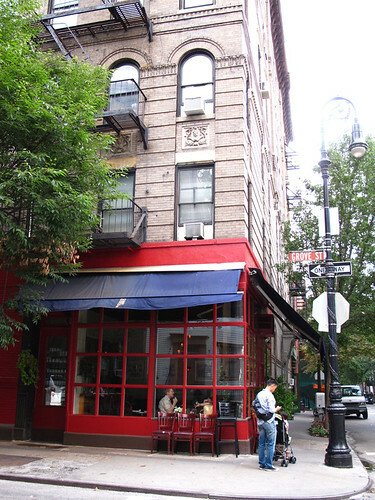 I've heard so much about The Little Owl from my New Yorker friends and even from Toronto buddies who'd also eaten here. So when we finally hauled ourselves to New York, we decided to see for ourselves whether it's indeed worthy of all the hype. And guess what?!? We join the legions of fans who simply adore this place, with or without Joey in the kitchen (sous chef Gustavo Machuca is at the helm). Chef-Owner Joey Campanaro is a South Philly guy. South Philadelphia, with its large immigrant population of mostly Italians, is a little bit of a rough-and-tumble neighbourhood, to say the least. But Joey Campanaro is proof positive that a dash of talent and a hefty dose of elbow grease can get you places; namely, the fine kitchens of New York and Los Angeles. An untrained chef (not formally, at least) like Joey Campanaro cooking his heart out to make it through the ranks is a tale more compelling than, say, a bourgeois former-lawyer-turned-cook funding a hoighty-toighty restaurant for himself. 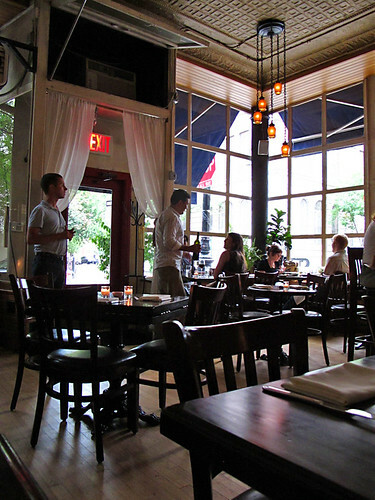 And this is where The Little Owl triumphs - in its humble roots, its simple formula, and its unpretentious vibe. The food here is decidedly market-driven Mediterranean, yet it doesn't pretend to be something more complicated than it is. You take the basics, jack it up with a few unexpected flavours, et voila!, food that is pared-down but not boring. It's akin to having a really, really, really talented Italian uncle come cook for you at home - it's always satisfying! 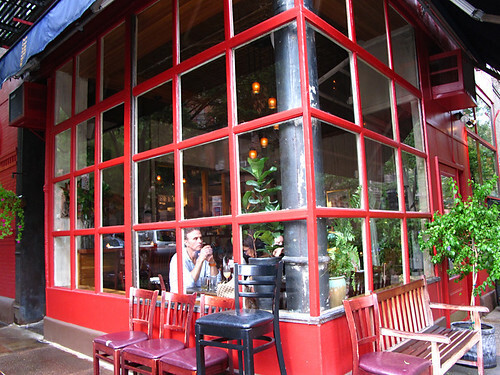 Add to that, its setting on Bedford Street in Greenwich Village (in a building made recognizable by the TV show Friends), with 25 or so seats set under towering wrap-around glass panels on two sides, then you got yourself a classic neighbourhood joint. 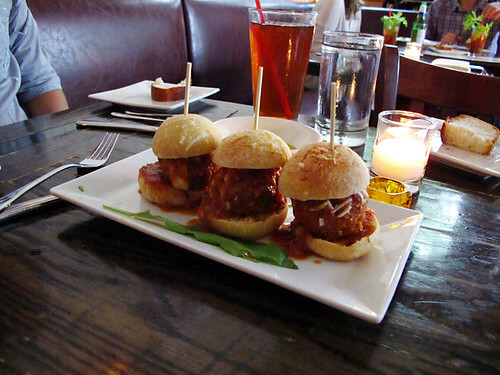 A nod to his Italian-American upbringing, the humble meatball sliders, which were spotted at Kenmare as well, are a staple in The Little Owl's menu. The well-seasoned chunks of meat balls are smeared in a tangy-sweet marinara and are nestled between two warm buns. It's a great way to start a meal. 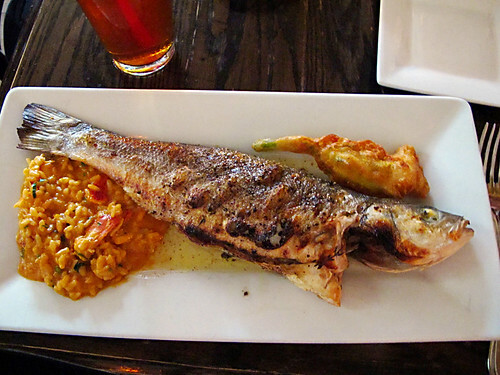 Another regular offering, the whole market fish is grilled skin-on, served with a side of decadent lobster risotto that smells of the sea (trust us, that's a good thing). A single squash flower is battered and deep-fried to perfection; our only complaint is we want to see more blossoms on the plate! 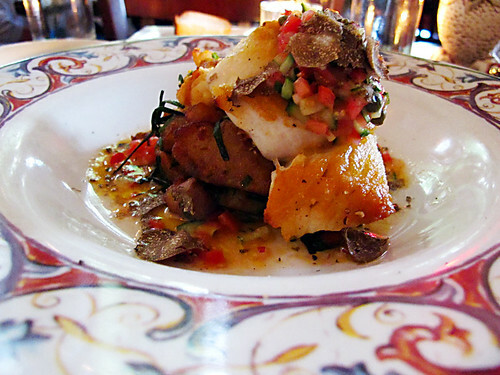 My halibut dish with a tomato broth and salsa is sprightly and bright, made decadent with the addition of shaved black summer truffles. 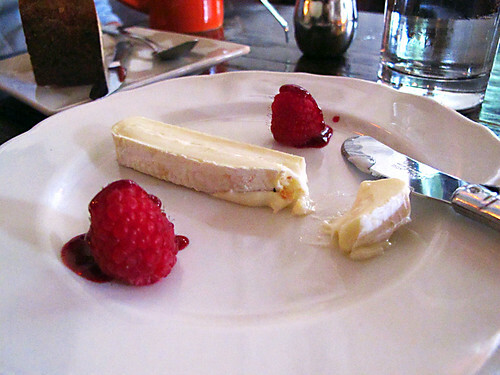 Après meal, a slice of creamy Robiola cheese with sweet raspberries hits the right spot. This is the kind of spot I'd bring my best friend or a visiting relative to, and have confidence that the restaurant will deliver every night. 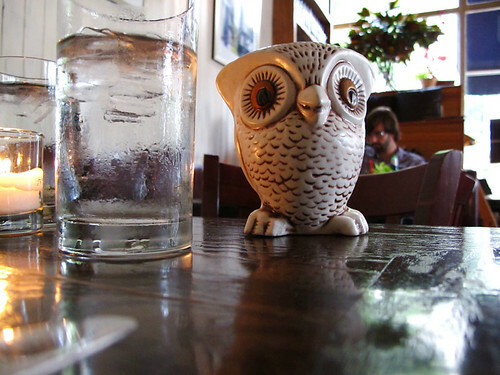 There is no question whatsoever that people will flock to The Little Owl even if Joey's away. I guess Gustavo is really doing a swell job in the kitchen!